This is the emotion that Salvadori stirs in the soul of the people who receive a Salvadori Jewel. 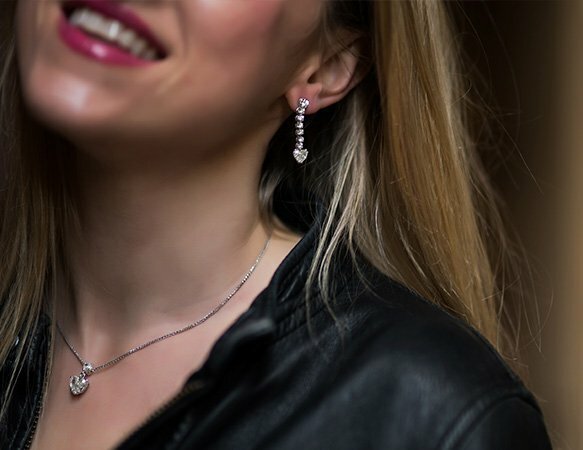 Tears of joy, smiles … the reflection of a diamond… Behind this magical precious stone, used to celebrate the happiest and significant moments in people’s lives, an ancient story is hidden which dates back to 300 BC, when the first diamonds were discovered in India. The diamond is not fascinating only for its beauty but also for its hardness, superior to any other precious stone. It was considered the “King of the gems”. In ancient Greece it was thought that diamonds were “star splinters fallen from heaven to earth” and this inexhaustible fascination has remained intact to this day. Salvadori, with over 160 years of history and member of the most important of the World Diamond Bourses, Antwerp and Tel Aviv, is the silent guardian of this magnificent gem. The company’s long process begins in Antwerp. It is here there they buy diamonds in all sizes and with high quality standards. The Salvadori Diamond has an excellent cut, an indispensable feature for perfect light return. Salvadori only buys stones in colours from exceptional white to white (D, E, F, G), loup cleap and with VS clarity. Each diamond is always has GIA and HRD certificates which are the only valid and recognized ones throughout the world. Every Salvadori jewel is made entirely in Italy with its own name and VE370 brand. All the designs are copyrighted. The preciousness of the diamond goes beyond its commercial value. The diamond is “a splinter of a star fallen from heaven”… A diamond is given as a gift when one’s heart is full of love… A diamond is kept safe, and handed down. Aperitif in Saint Mark’s Square in the Salvadori shops under the new Procuratie. Dinner in the magnificent Palazzo Dandolo, located on the Grand Canal, with its beautiful frescoes and stuccoes, and the beauty of the Ridotto rooms, famous for having hosted Giacomo Casanova. Salvadori participates in the International Jewellery Design Competition. The theme, for the future Expo in Milan, is “A la Carte”. Marzia Pendini makes the Sapore di Mare neckalce, a ‘fisherman’s’ net in diamonds, with various shellfish and crustaceans typical of the Venetian lagoon stuck on it. Each piece is also detachable and convertible into new jewellery. Opening with “Dinner on the Lagoon” in the Sailing Club on the island of San Giorgio Maggiore. A scenario of excellence chosen specifically to emphasize the ancient bond between Panerai and the sea. Panerai produces two models in limited edition exclusively for Salvadori. The PAM 540 stainless steel, Luminor case with manual wind-up charging with 56 hours of power reserve and the PAM 549, also in steel, with Radiomir casing and automatic charge with a 10-day power reserve and dual time fuse. Both models, respectively 100 pieces worldwide for the first and 20 pieces worldwide for the second, have a little masterpiece of craftsmanship; an unexpected engraving depicting Saint Mark’s Square, hidden on the back cover. The Salvadori jewellery store has always been linked to the traditions of this city, and rewards the winners of the women’s Mascarete regatta. 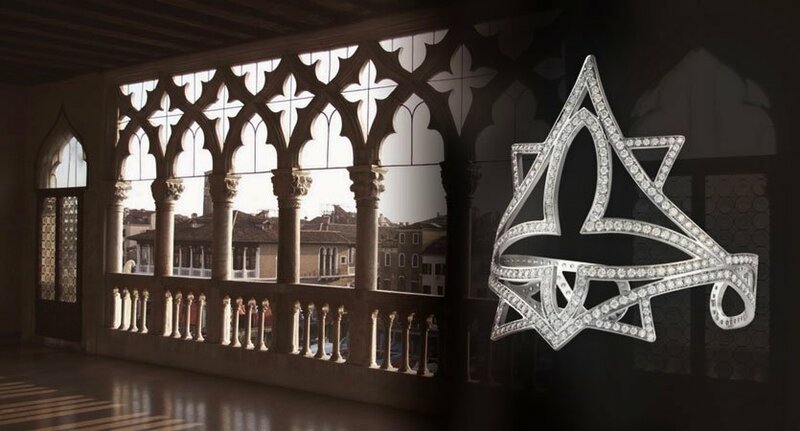 Designer Marzia Pendini’s gift is the Dolfin Pendant, adorned with diamonds inspired by the typical iron bow, in Venetian-Dolfin, of one of the most ancient Venetian boats: the Gondola. Salvadori gave the winners of Gondolini, the Vignotto cousins, two brand new Rolex models. Salvadori joined the new edition of the “Luxury Christmas Preview” where they presented excellence related to the world of Christmas. Salvadori exhibited more than 60 watches from the various Patek Philippe collections, the new Basel 2010, the perpetual calendars, chronographs, the entire Nautilus collection and the rare 5102 reference, the famous Celestial. 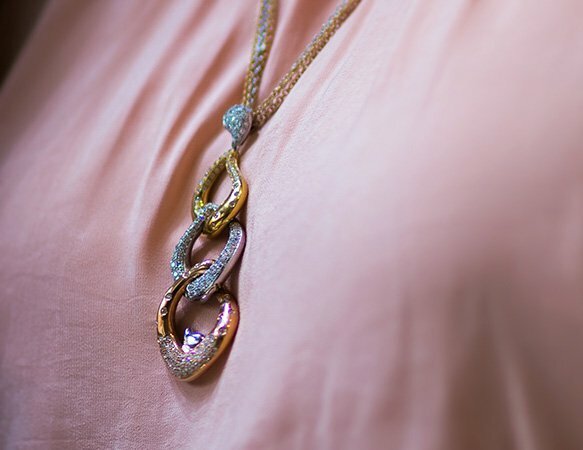 Obviously, there are the most worn Jewellery Collections and a wide selection of loose diamonds, strictly accompanied by GIA and HRD certificates. 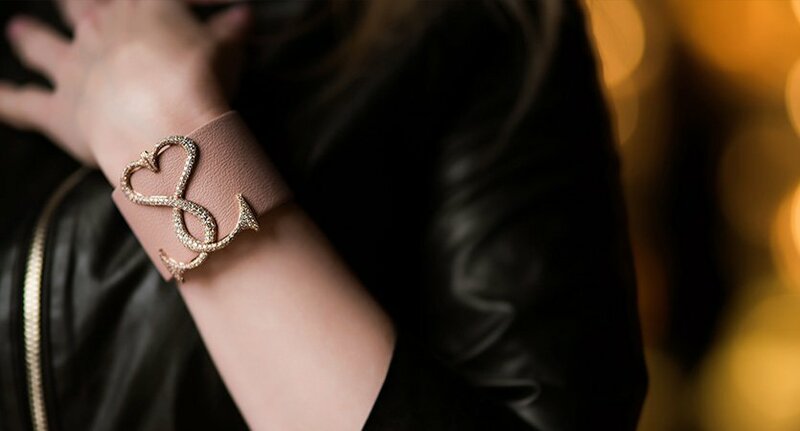 Salvadori exhibited the Miraggi Collection, jewellery made with diamonds to dream for and the Vulcano Collection… as wild as the color of the rubies that its made of. For fans of time, there are three majestic Tourbillon from Vacheron Constantin in the Malta Collection. Salvadori Vicenza hosts the “The value of time” exhibition. A rare edition of the Holy Bible in 5 volumes illustrated by Salvador Dalì and precious Vacheron Constantin watches. The artist’s freedom is a perfect technique to give shape and colour to his visions. Similarly, the perfect technique is the way through which the master watchmaker expresses his creative freedom. Both are witnesses of Time which become Art and History. Salvadori organized an exhibition dedicated to its jewellery. The chosen location is Cortina d’Ampezzo. What better theme than “the Enchanted Forest?” The shop windows are full of flowers, leaves and berries. The wonderful colour of the exhibited gemstones evoke nature, mountains and the forest. Diamonds, emeralds, sapphires and rubies … Salvadori Jewels. The old hall in the Museo Correr is used to house creations for various jewelers. Marzia Pendini is the youngest designer and exhibits works – jewellery including Gondola and Venetian Carnival brooches and the Red Ruga pendant with a cabochon ruby of over thirty carats which has been transformed into a nice turtle and other pieces that marked her debut as a jewellery designer.